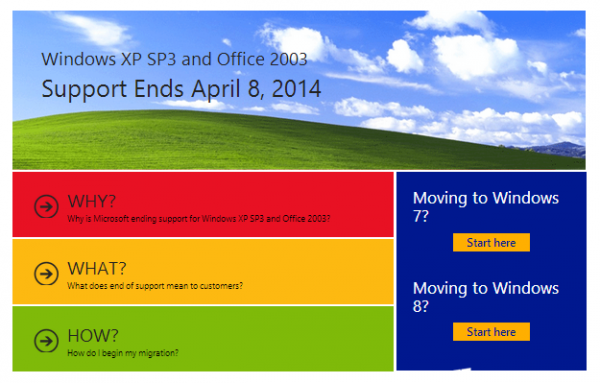 As all of you know, Windows XP is dead. Or it is? As far as the Chinese community is concerned, there is still hope. Several AV companies had pushed for a special product where we do not see anywhere else in other markets known as "XP Protection". Basically, the AV Product claim to be able to protect even the unpatched XP against these new vulnerabilities and attacks. In the 13 hours event, only 腾讯 was broken in 57 seconds by "shaheshang", followed by 金山 later. Qihoo managed to withstand all the attacks. So, what does this mean? Maybe for those Chinese who are not going to upgrade to new Windows for whatever reasons, they could use these products to actually provide them protection and continue to use Windows XP? But there is a epilogue to the story. 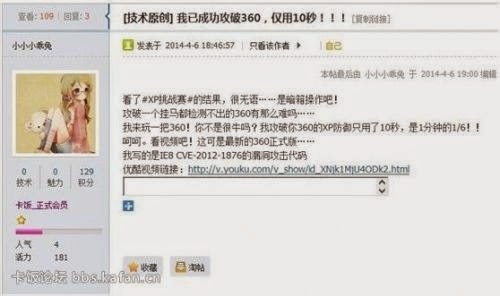 At the end of the event, a hacker "小小小乖兔" managed to break through 奇虎 as well. So, it does means that, maybe hard, but there is a way. Nothing is invulnerable. So, I guess at least with such products around, it is safe to assume if the clients in Chinese are still using Windows XP, they will be deploying at least one of these products. And lastly, all the listed products had been updated and are FREE.